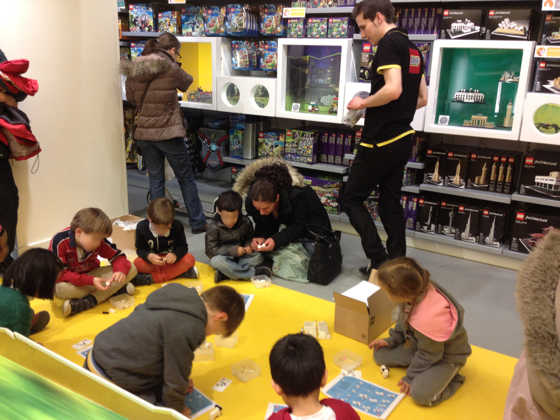 If you have a Lego Store near you, you certainly know about the Mini Build. This is a monthly event, the day when it takes place depend on your local Lego Store schedule. Children are invite to build a specially designed model and bring it home free. 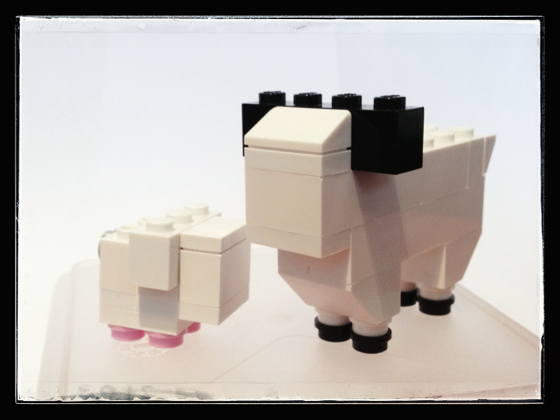 This April, the build was a sheep and a lamb. 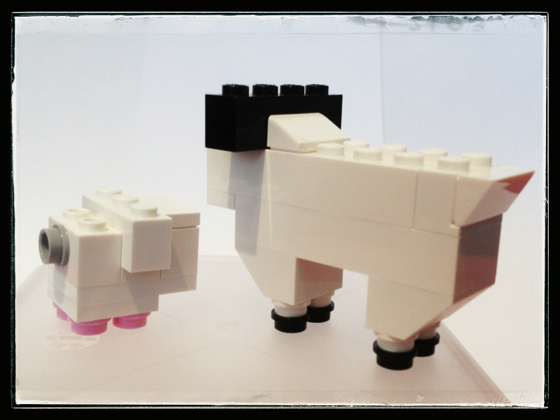 Sheep and Lamb, front view. The mini build event is open to children from 6 to 14. Well… They do accept younger children but don’t expect to go there as a grown up 😉 The builds are on a mini scale and are intended to get the kid familiar with such builds. Kids can go home with the build but not with the instructions. Nevertheless, you can get them online, but only the one from the current month. Sheep and Lamb, back view. The difficulty of the build may vary a lot. This month, the sheep and the lamb are really easy. Only 32 pieces are needed and you can really figure out how to build it from the finished model. You may just want to know that the lamb’s tail is a 1×1 round piece and there is a 1×2 plate with 1 knob under the 1×3 brick. It is also nice to see the success of the event. Not only because of parents leaving their kids to shop the mall (yes, that happens). Many of the kids here where here wanting to build the model. At the Lego Store near Paris. So, what do you expect as a next model ? Will the first question be answered on November 23rd ? The Iron Kingdoms on Kindle.